Frederick was a fruit merchant; his older brother, Samuel, was a miner. 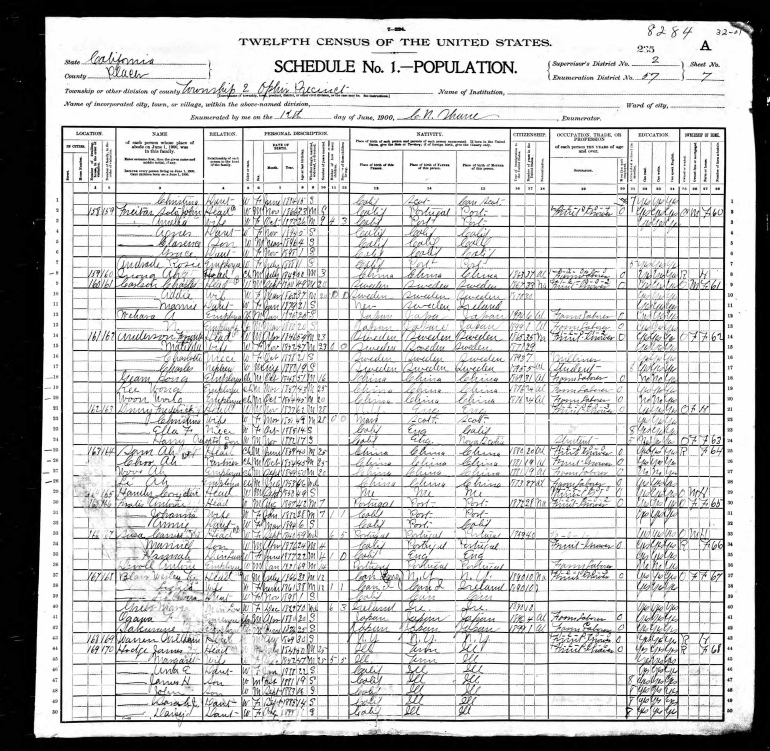 This is a very likely his burial based upon Census records (age and residence) and his last known residence (Placer County). Frederick is listed at age 34 as a retired fruit merchant while the older Samuel Bonnet, 40, is listed as a miner. Samuel Drury (47), a farmer, is listed as the head of household with his wife, Eliza (41) and 10 children ages 3 to 21 years of age. Three other persons are living in the house: Rose Egans (20), John Luciens (45) a laborer and James Luciens (40). Neither Rose nor James could read or write. They were living in New Town, Queens, NY. Samuel Barnard and Frederick Sparks Drury are presumed to be descendants of Samuel Bonnet Drury. However, while their birth years match other records, their middle names do not match with those in the family tree (There is no documentation for the middle names already in the tree). 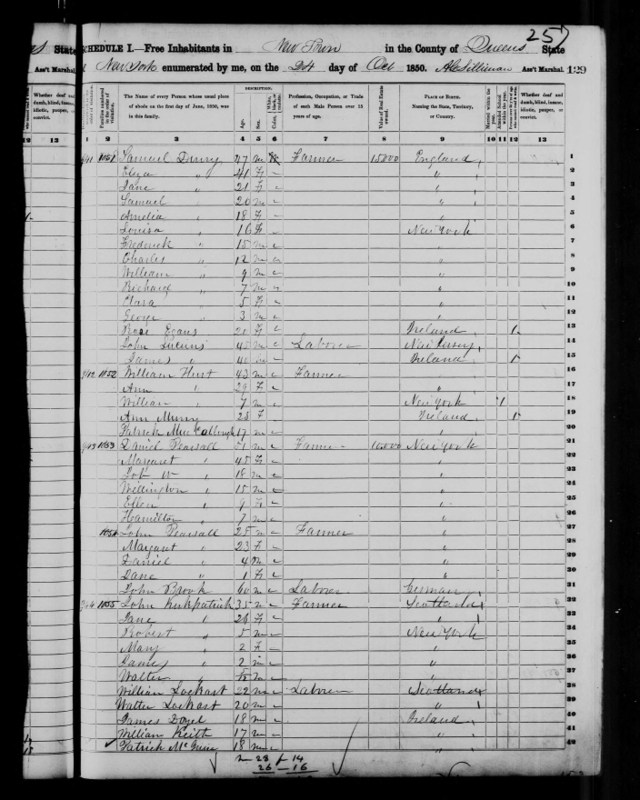 So, are these two men Samuel Bonnet Drury's sons? 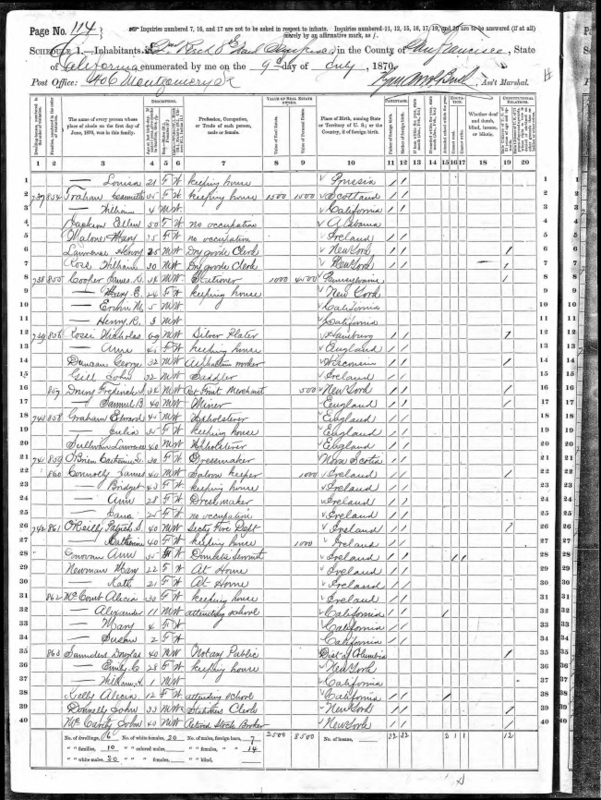 The 1870 Census supports that contention since it reflects their birth places as England and New York respectively - more than coincidental.